Christopher Knowles is a Canadian based Dancer/Choreographer who now resides in Toronto, Ontario. Born in Miramichi, New Brunswick. Christopher started dancing at a very young age. Growing up, he was also a student teacher for many years and choreographed his own work performing them across the east coast. In 2008, Chris was chosen to attend a Dance Tour in London, England in training with some of the world’s best choreographers as well as classes with the cast of WICKED the musical. At 18 he moved to Toronto Ontario to attend George Brown Dance College where we furthered his technical training. While at George brown he received high achievements in choreography. After graduating he then moved back to Nova Scotia and became the artistic director of Precision Dance Company. While under the direction of PDC Christopher was frequently awarded for his choreographic works while his students excelled. During these years he also co-created a Canadian East Coast event called “The Entity Tour” that inspires and trains students every summer since 2014. Recently Christopher has had the opportunity to choreograph for George Brown College students and had it performed at their graduation show “Unleashed.” George Brown has also used his work for advertisement for their post-secondary program. He was also honoured to create work “Toronto’s Choreographers Ball ” ,“Fever After Dark “ as well as “Dance Weekend” for Dance Ontario! All events showcasing Toronto’s talent in the industry. While Christopher works towards his future plans, he has had the opportunity to teach at multiple professional level training venues throughout the city. 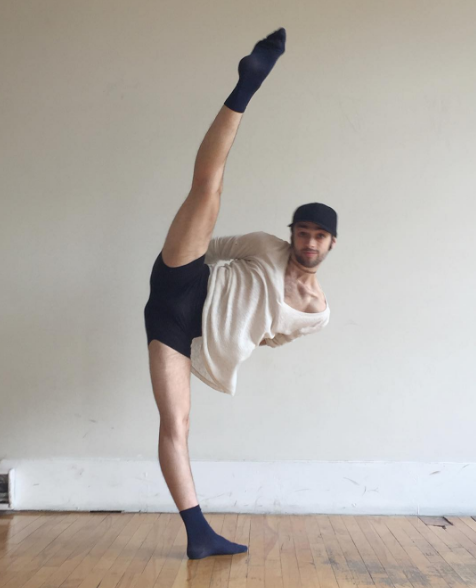 Christopher is currently working full time at “City Dance Corps” downtown Toronto where he teaches and choreographs weekly! Creating stories through movement and watching it come to life is his calling. He brings passion, technique and energy to all his creations. The biggest lesson he loves to leave with students while teaching is just to dance from your heart, be yourself, have fun and never let go. Dance is his life and he is now ready to share all he knows with the world of others who share the same love.